Kenya has some of the most incredible beaches on planet earth. These are those beaches you've always dreamed of, the ones you see in those ads of glamorous people in exotic locations. You know the ones I mean? The type of beach where bright blues seas sparkle in sunshine, while water laps gently at snow white sand fringed by palm trees. So, are you looking for that type of beach? Then a Kenya beach holiday is what you need. We've got the best ones from Mombasa right through to Malindi right here. 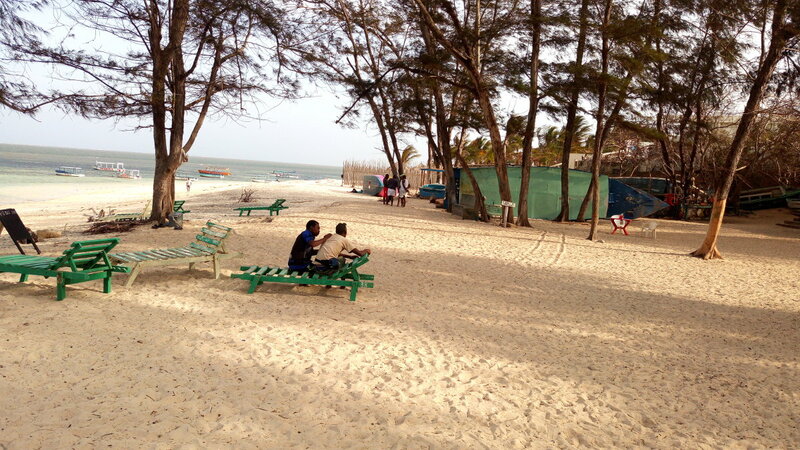 Right on the doorstep of Mombasa, a great option if you are in the city and want some beach time. It does get busy on the weekends but during the week, even in the height of summer, the beach is never overcrowded - often times it is just you and a camel or two. This is one beach you really don't want to miss. 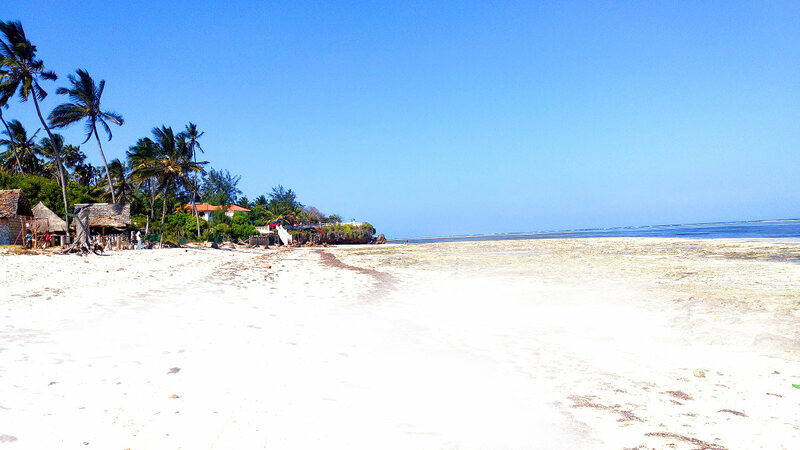 Only a 30 minute drive north of Mombasa is Bamburi Beach. Come summer time this is one of the most popular beaches in Kenya and yet, because of its huge size it is seldom too crowded. The only time it can get a bit too full for my liking is on weekends in December and January. There's so much to do here, water-sports galore, places to eat etc. that I promise you will never get bored. Read all the essentials here. Kikambala Beach at low tide. Next stop after Bamburi Beach, as you head north out of Mombasa, is Kikambala Beach. 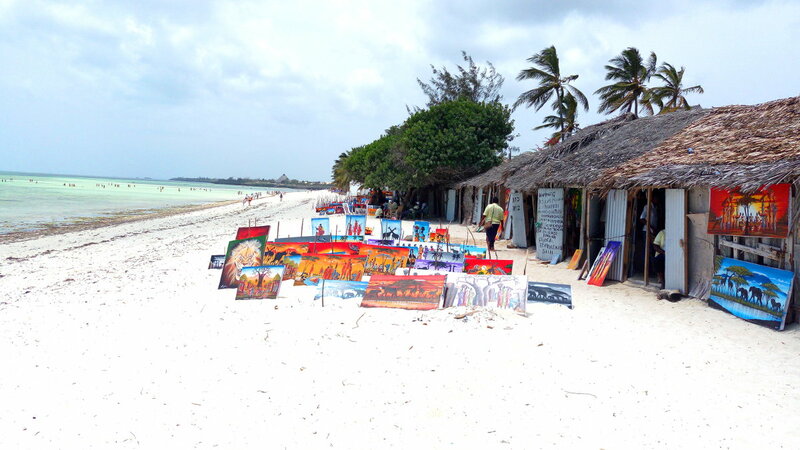 It takes around an hour to drive here from central Mombasa and it is so very different from Bamburi: very few day trip visitors and, because there are far fewer resorts and facilities, there are also far fewer international visitors. 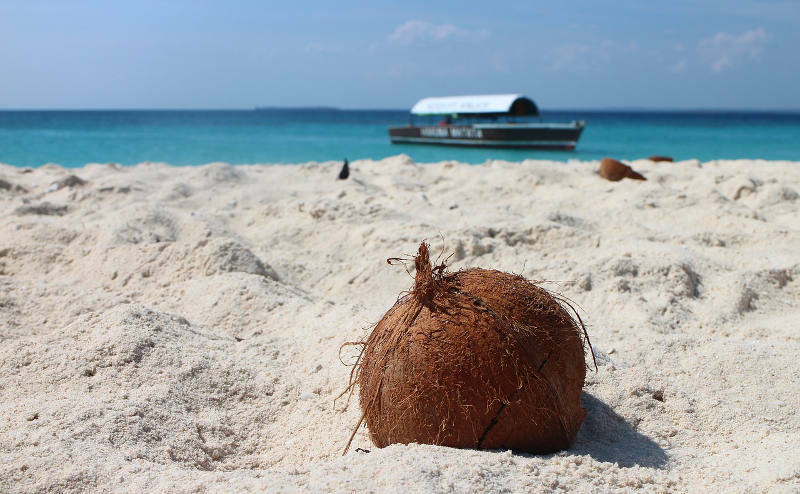 Here things are calm and relaxed and the white sand is backed by palm and tropical trees. There are only a few resorts; making the beach ideal for people who want to unwind and pass some quality time on idyllic sea shores. Because the tide goes out beyond the reef water sports are limited and swimming is only possible at high tide. It puts some people off but, personally, I love walking out to the reef when the sea is out. If you too want to walk to the reef, wear some footwear as the coral is sharp. If you are lucky, you'll find some very beautiful shells in the vast coral plains. It is incredible to find you often have such a gorgeous palm fringed beach all to yourself, bar the wild camels and a few very friendly beach boys trying to sell you things. Well worth a visit. Sun N’ Sand Beach Resort is the most important resort here. There are a few restaurants and local bars selling local palm wine and other assorted drinks. Kikambala beach is 27 km north of Mombasa and the last beach to be reached from Mombasa on a day trip. The turn-off is about 8 km from Mtwapa town. I remember coming to Watamu years back, in those days it was just a tiny village with only a few intrepid tourists who were more like adventurers exploring the unknown. Nowadays there are resorts galore but thankfully the town has still retained its charm... and the beaches are as pristine as ever. 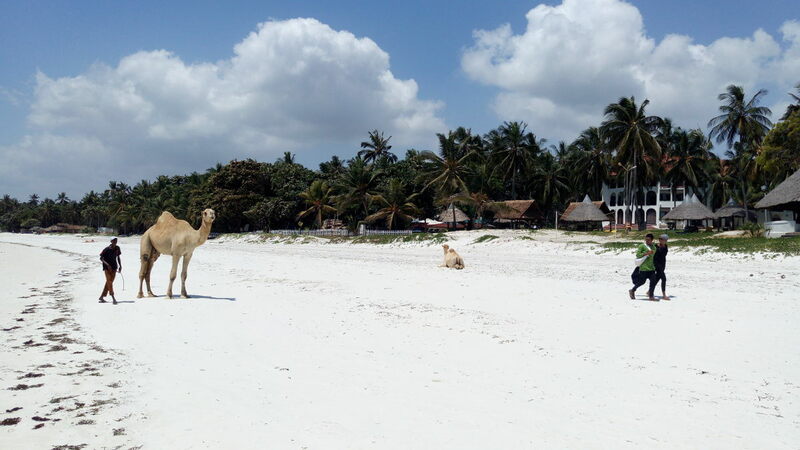 Watamu isn't really one beach but a selection of pristine beaches spread-out along various bays, with one of Kenya's most pristine coral reefs lying just offshore in the Watamu Marine National Park. One of the best destinations to snorkel in all of East Africa. At certain times of the year though seaweed can be a problem - best time to visit is from December through April. 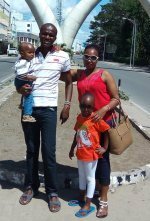 The destination most people think of when they think of Kenya Beach Holidays and this is certainly Kenya's most famous resort town. Malindi may be the second biggest town on the coast after Mombasa but it is nothing like Mombasa; instead it is a thoroughly charming town with lots to see and do besides the beaches. There's also the Malindi Marine Park with excellent snorkeling and diving and plenty of other excursions to keep you busy in and around town. Despite the many tourists who visit, locals seem to genuinely appreciate the fact that you've made the effort to get here and are always warm and friendly. 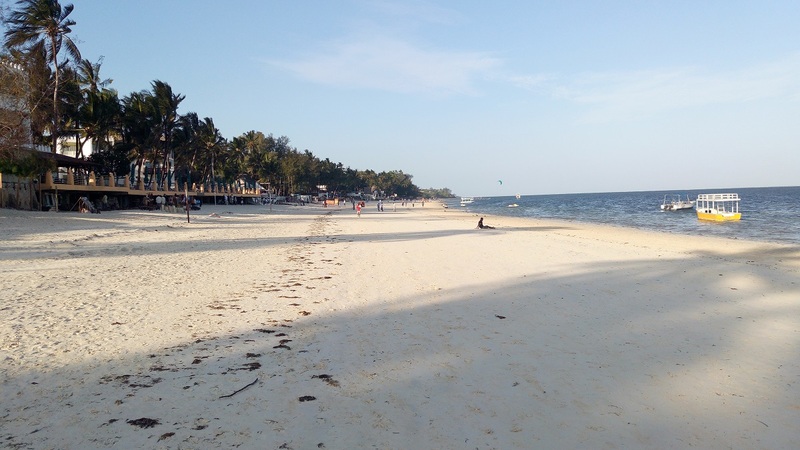 Looking for beaches south of Mombasa? Here is our guide.